Thanks to your feedback, Swimia has become in just several months one essentially the most important sites of swimming pools. Here you have got all of the info we know about Sportcentrum De Viergang, in Pijnacker. Do you know the opening hours? Are they offering any course? What is the cost to get a single swim? 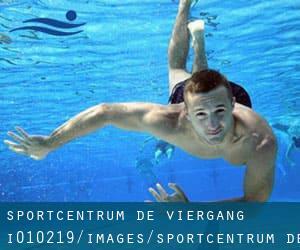 Don't forget you can also promote this pool so Sportcentrum De Viergang will appear the first of Pijnacker, or even the very first of one's country, get in touch with us to know extra. Swimmers like you reported 25 meters, 5 lanes, Indoors. Phone number and e-mail address are number for this Swimming Pool. If you believe that any of the data is incorrect, please get in touch with us. Enable us be better day-by-day. Updated on 2019 Bosboom Toussaintkade 35 , Gouda , NETHERLANDS (Postal Code: 2802 XA). This sports center offers 25 meters, 4 lanes, Indoors. For this Pool, only phone number is number here. Updated on 2019 Prinses Beatrixlaan 2 , Schiedam , NETHERLANDS (Postal Code: 3121 JN). Among all of the activities offered by the center, when you are interested in swimming you can delight in 25 meters x 15 meters, Indoors. If you need to make contact with this Swimming Pool, email address and phone number are both number. Updated on 2019 Dwarsdijk 8 , Rotterdam , NETHERLANDS (Postal Code: 3078 JD). Swimmers like you reported 25 meters, Indoors. Unfortunately we do not have the email address of this Swimming Pool, but we can provide you with the phone number. Updated on 2019 van Itersonlaan 10 , Gouda , NETHERLANDS (Postal Code: 2806 DG). This sports center offers 25 meters, 4 lanes, Indoors. For this Swimming Pool, only phone number is number here. Updated on 2019 Maandagsewetering 202 , Noordwijkerhout , NETHERLANDS (Postal Code: 2211 WV). This sports center offers 25 meters, Indoors. Contact facts for this Swimming Pool just like phone number and email address are number. Updated on 2019 Parklaan 3 , Zwijndrecht , NETHERLANDS (Postal Code: 3335 LM). Among all of the activities offered by the center, for anybody who is interested in swimming you may enjoy 25 meters, Indoors. If you need to get in touch with this Swimming Pool, email address and phone number are both number. Updated on 2019 Thorbeckelaan 350 , The Hague (Den Haag) , NETHERLANDS (Postal Code: 2564 BZ). Swimmers like you reported 25 meters x 15 meters, Indoors. Unfortunately we do not have the email address of this Swimming Pool, but we can provide you with the phone number. Updated on 2019 Oostervantstraat 25 , Rotterdam , NETHERLANDS (Postal Code: 3002 EC). This sports center gives 25 meters, Indoors. Contact information and facts for this Pool such as phone number and email address are number. Updated on 2019 Van der Hagenstraat 11 , Zoetermeer , NETHERLANDS (Postal Code: 2722 NT). Among all the activities offered by the center, if you are interested in swimming you will get pleasure from 25 meters x 15 meters, Indoors. Just in case you would like to contact this Swimming Pool before dropping by, we only know the phone number. Updated on 2019 Sluisweg 144 , Hardinxveld - Giessendam , NETHERLANDS (Postal Code: 3371 EX). Among all the activities offered by the center, when you are thinking about swimming you will take pleasure in 25 meters x 15 meters, 1 meters - 2 meters depth, 1 meters - 2 meters depth, Indoors. Just in case you want to make contact with this Swimming Pool before dropping by, we only know the phone number. Updated on 2019 Van Alkemadelaan 12 , Sassenheim , NETHERLANDS. Swimmers like you reported 25 meters, 1.1 meters - 2 meters depth, 1.1 meters - 2 meters depth, Indoors. Phone number and e-mail address are number for this Pool. Updated on 2019 Burg. Koningssingel 48 , Rotterdam , NETHERLANDS (Postal Code: 3051 RN). Swimmers like you reported 20 meters, Indoors. Unfortunately we do not have the e-mail address of this Pool, but we can give you the phone number. Updated on 2019 Iersestraat 15 , Nieuwerkerk aan den IJssel , NETHERLANDS (Postal Code: 2912 TH). Swimmers like you reported 25 meters x 14 meters, Indoors. Phone number and e-mail address are number for this Swimming Pool. Updated on 2019 Richard Wagnerlaan 85 , Voorschoten , NETHERLANDS (Postal Code: 2253 CD). Swimmers like you reported 25 meters, 6 lanes, Indoors. Phone number and e-mail address are number for this Swimming Pool. Updated on 2019 Seinpoststraat 150 , The Hague (Den Haag) , NETHERLANDS (Postal Code: 2586 HC). Among all the activities offered by the center, when you are keen on swimming you will enjoy 25 meters, Indoors. Just in case you want to contact this Pool before dropping by, we only know the phone number.